Zoe Gilbertson is a UK based embroidery based artist with a experience working in the fashion industry. Over the years, Zoe has lived in Europe, Canada and founded SneakArt with her husband. In this Interview Zoe talks to us about her career as a fashion designer and the transition she took into fine arts. 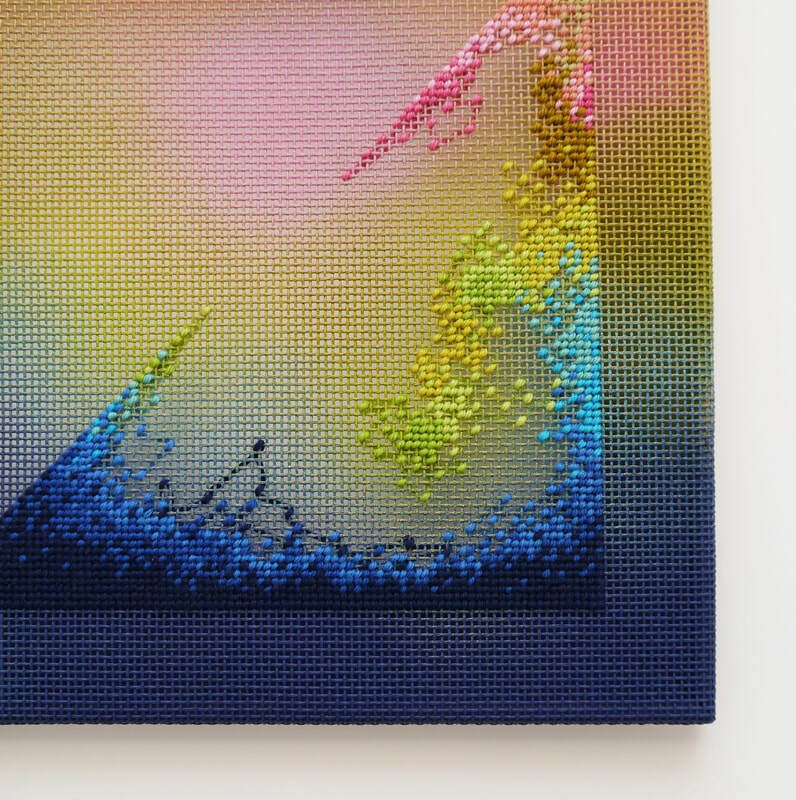 Your embroideries reference the digital through their pixelated application, placing us in time. How did your career as a fashion designer, and the tools you used through this profession inform your stitch work? Do you still use some of the tools in while making your work today? Surprisingly, I rarely worked with embroidery or hand stitching in my career as a fashion designer. I worked mainly with sportswear brands where the emphasis was on technical construction, product performance and graphic applications. The tools I use in my stitched work are related to my previous work in a less obvious way. I often create digital artwork first that I then translate into stitched work. Sometimes I use Adobe tools such as Illustrator and Photoshop to create artwork that then changes and evolves into another aspect once I convert it using stitch related software. Sometimes the conversion from one software to another creates unexpected results. I don’t always work this way as it’s quite random and takes time to create a good result but it’s been interesting to explore, particularly on the pixel side of things. 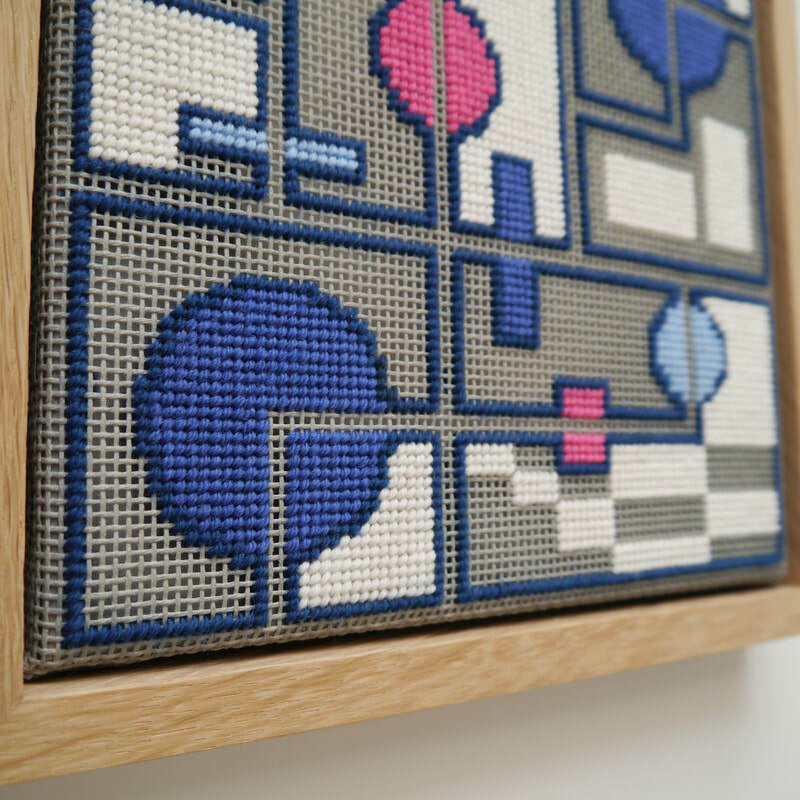 I like the visual and conceptual link between a pixel and a stitch, the digital and traditional. "I find restrictions often help you create better work and force you down avenues you wouldn’t normally consider. 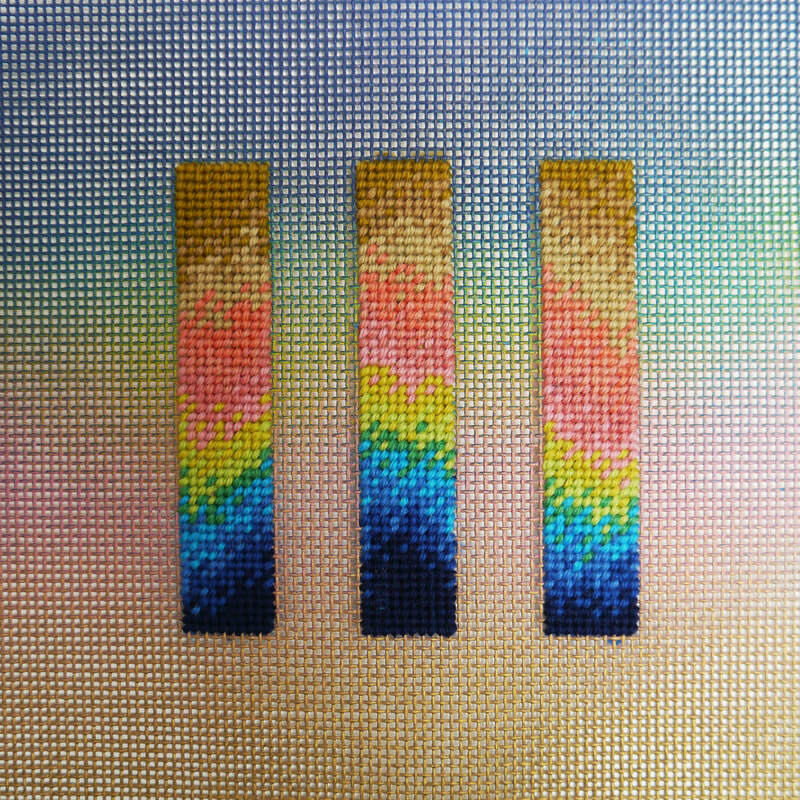 Working with tent stitch and canvas, as I currently do, creates many restrictions and boundaries relating to size, scale and the time needed to create a work. " 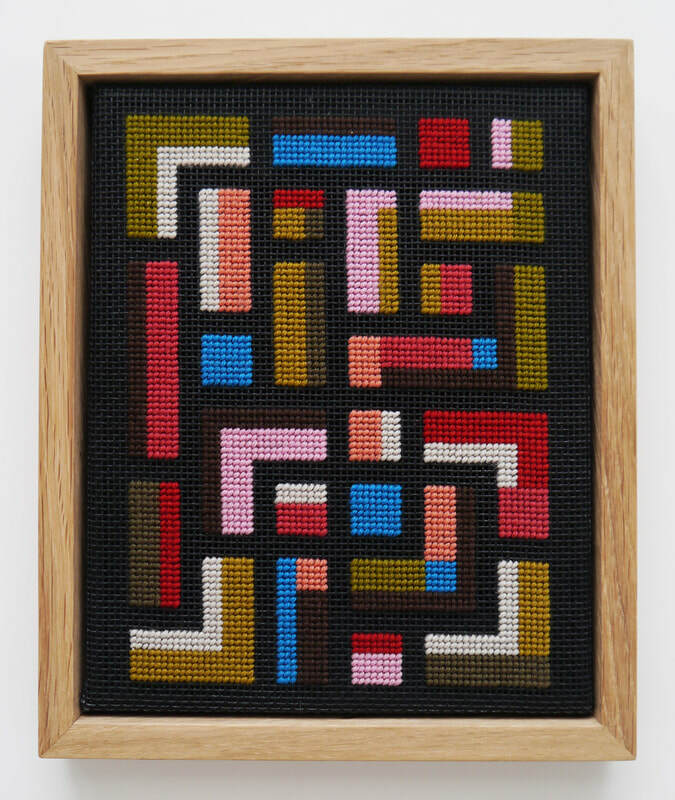 How do you hope digital references change or evolves our thinking about traditional embroidery and/or cross stitch? The act of hand stitching is still very traditional and loaded with meaning. I love the connection with women of the past who spent hours stitching for recreation, probably because they had no other options open to them. Visually I want to create something modern and relevant to contemporary art today and the digital references are formed through the design of the artwork. I want to push the boundaries of contemporary embroidery and elevate stitched work to a higher level, ideally putting it on a par with other art forms. I want to elevate the traditional aspect of female work and give it more value through the incorporation of design, colour and concept. What is your relationship with working digitally and tactically? Is there a preferred methodology or does the movement between the forms inform and complement each other? Sometimes I plan out a work in advance digitally and intricately, sometimes I just stitch straight onto the canvas with only a vague plan in mind. Both methods work. I find restrictions often help you create better work and force you down avenues you wouldn’t normally consider. Working with tent stitch and canvas, as I currently do, creates many restrictions and boundaries relating to size, scale and the time needed to create a work. Much of my work has come about by trying to create solutions to these problems, for example I use spray painted backgrounds to save time in stitching. I use a bigger than normal canvas with thicker wool to try and speed up the process. Going back to your first question I think this relates to my background as a performance sportswear designer. As a designer I like to solve problems and create better experiences for the end user. I also try to do this when creating my art work and devising suitable ways to frame and finish it so the viewer can better appreciate it. 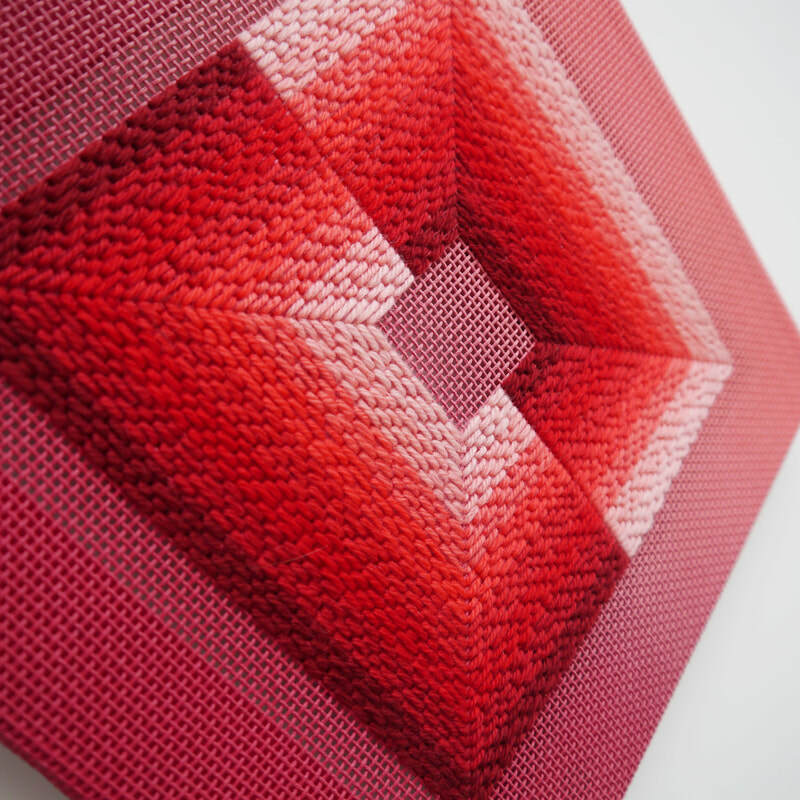 How did the digital and traditional shape your project Sheila Bownas? Sheila Bownas was a prolific artist and textile designer working in the 60’s and 70’s so was totally analogue in her processes. 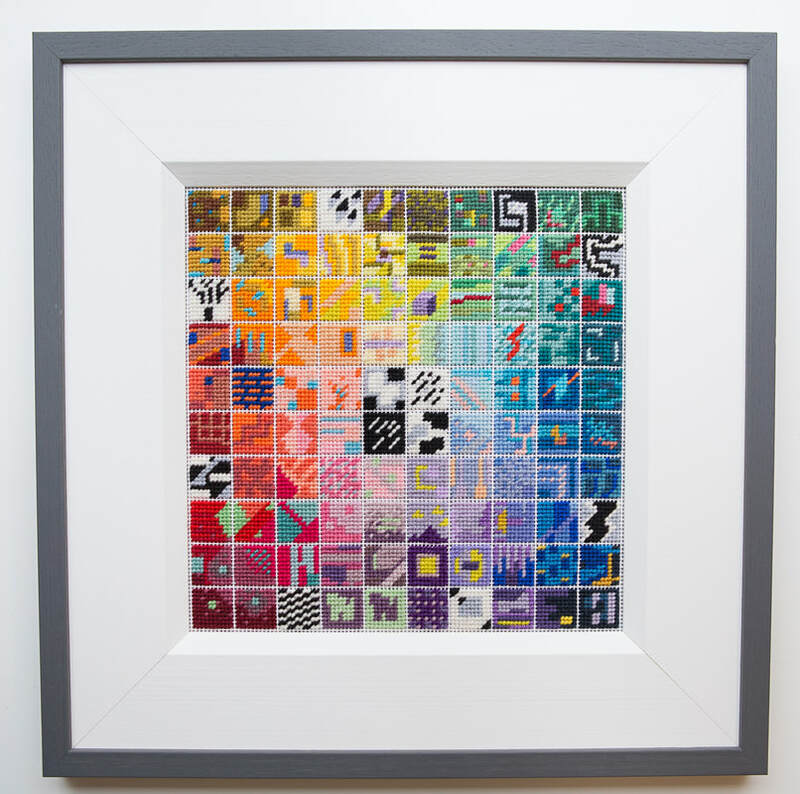 I was asked to produce some needlepoint pieces inspired by her work as part of an exhibition at Rugby Art Gallery. I applied my various methods of working to four of her designs. Some images were simplified, redrawn digitally with filters and gradients then turned into digital stitch patterns, others were hand drawn then stitched. I enjoyed trying to interpret her work using the methods I was working with at the time. I layered spray paint almost like screen prints to create backgrounds and then worked stitch over the top. 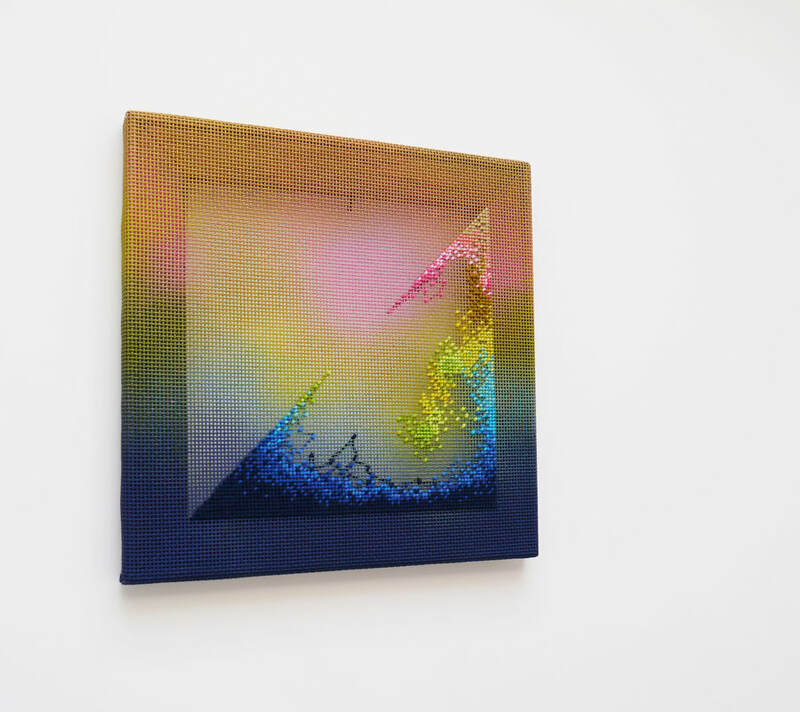 I liked introducing spray paint into the narrative as she wouldn’t have used it in her time. In your bio, you speak about your creative journey, from fashion school and working at Adidas, living internationally, and then returning to the UK as an entrepreneur and founder for SneakArt. Was an artistic studio practice always part of your busy schedule? Or how did the creativity ebb and flow through other avenues in your career? I’ve always been interested in art, I decided on a creative career in my teens but after doing an art foundation I took the fashion route. I must have been creatively fulfilled in my work and didn’t have the desire to create artwork until fairly recently, maybe I also didn’t have the confidence. I started artistic practise about 6 or 7 years ago, it co-incides with the time we stopped the Sneakart business, I wasn’t doing much design work and a lot of my time was taken up with young children. I suppose I was trying to find a new creative outlet without properly considering what I was doing. I can’t imagine not creating artwork now. I’m interviewing you from the San Francisco Bay Area, a hub of technology, entrepreneurship, and a thriving art culture. 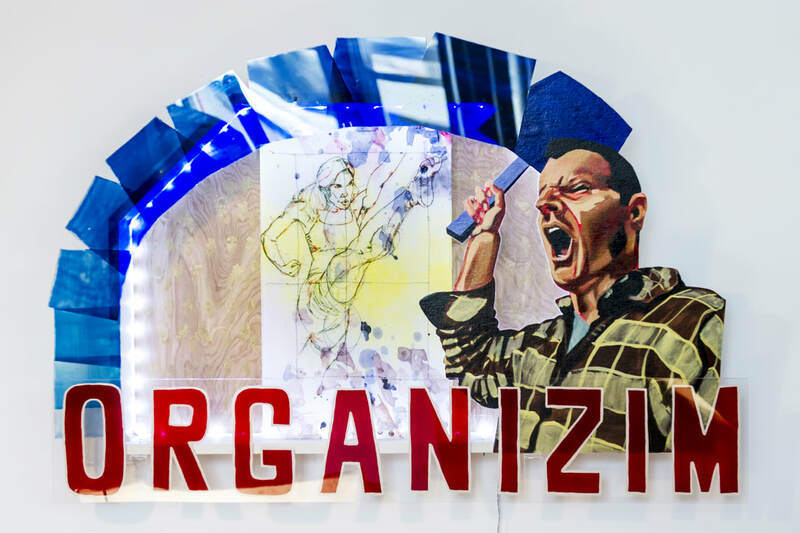 Over the years, there has been a tension between the start-up culture and artist run spaces, primarily around inequality and limited space. How in your life that these two careers co-existed? What do you think can be learned from their similarities or differences? I think the two are quite similar in the aim to create something new and different or change the status quo. I suspect a major difference might be the desire to make money. The structure and focus of entrepreneurship and technology is often financial whereas you do not go into art if your main aim is to make a good living. I guess artists will always have the moral high ground if it came to a stand off! "There is no right or wrong path but your progression will depend on what you personally are comfortable with." I think as a designer and an artist you will always have that tension between making a product how you want it and making something that will sell, it’s really down to your personal drive and desires in life as to how far you are willing to compromise. There is no right or wrong path but your progression will depend on what you personally are comfortable with. In your most recent work, I see that you use spray paint on canvas as a way to incorporate a layering of colors and textures in your pieces. How did this develop? Is it meant to reference street art and it’s impact on our fashion industry? Your inferred reference is serendipitous and could form an interesting angle to explore, I actually use spray paint because it adheres nicely to the canvas and speeds up my process. I also like the texture it creates and the fact that part of the canvas will be visible. I have plans for future work that will develop this further. ​Street art influenced me a little as a sportswear designer but it’s never been a great passion. I came to use spray paint after many experiments using different materials. In fact, I have to give credit to an artist friend, Isabelle Burnell who suggested trying it. I would love to have some lessons in using it from an expert as I think it’s a real skill, I have much to learn. ​Scale seems to be something that is dictated by space and time, if you were able to break this barrier, what would you make? 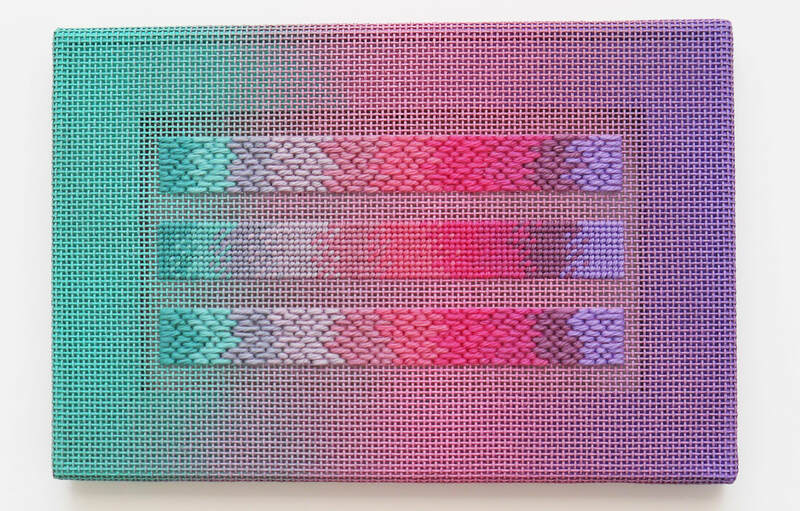 I’d like to make larger, more structural pieces built on angular frames to create 3D forms, still using stitch as the application of colour. I love the vibrant, 3D, sculptural, mixed media work that a lot of young US artists are making, I feel my work would be more at home in major US coastal cities. 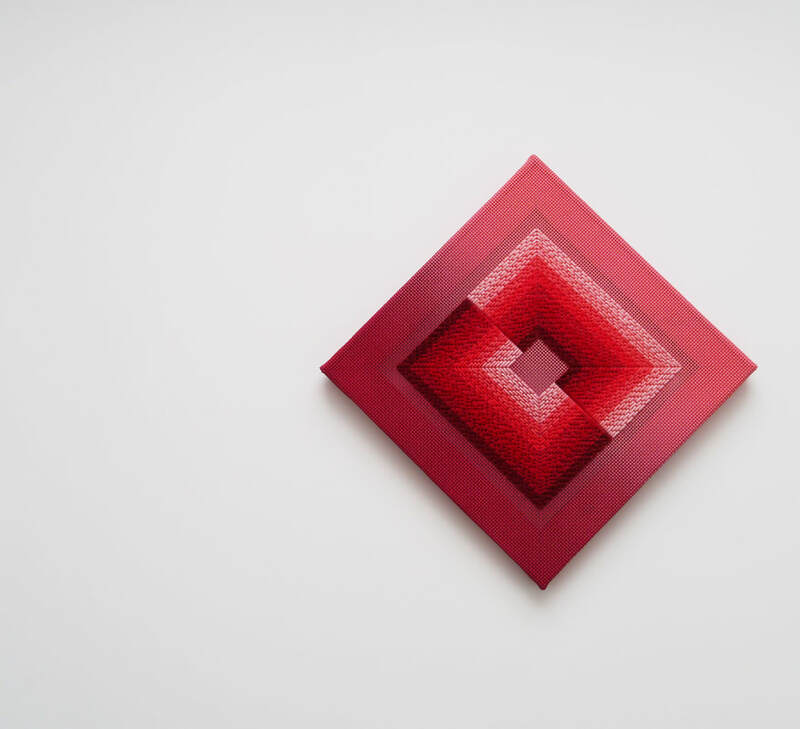 ​I love a lot of US artists work, particularly Hilary White, Christina Camacho, Sean Newport, Erin O’Keefe and Allison Reimus to name a few, they push boundaries with colour and the application of their craft. I’m going to experiment with new work on a small scale at first and see what happens, it may involve a different process to make it happen. "I’m coming to this fairly late in my forties and I have the luxury of a partner who works and a part-time creative job as a fashion lecturer that I enjoy. I also have 2 kids, 2 dogs and a house I’m renovating so my time is precious and limited. I make art because I want to and enjoy the process." I think one of the biggest fears of young artists, is the fear of finding their work life balance. Unlike many other careers, artists often have to partner their artistic studio practice with another creative career path to strike a balance financially. What was your journey like and what is it that you still struggle with? "I sometimes worry that when I die my kids will inherit a pile of artwork that nobody wanted but I suspect that happens to a lot of artists!" It’s difficult. I’m coming to this fairly late in my forties and I have the luxury of a partner who works and a part-time creative job as a fashion lecturer that I enjoy. I also have 2 kids, 2 dogs and a house I’m renovating so my time is precious and limited. I make art because I want to and enjoy the process. I would love to start making a living from it but that’s not a priority at the moment. ​I had a year or two of pure studio practice, supported by my husband while I looked after the kids. I used to feel guilty that I didn’t sell much and contribute to the household properly. Now that I’m working again and contribute financially, I don’t feel guilty anymore. My end game is long and I’m more relaxed about it. I’m happy to slowly evolve and improve my work and raise my profile in the background. I don’t currently have time to contact galleries or do any selling but I’m hoping to change that soon. I sometimes worry that when I die my kids will inherit a pile of artwork that nobody wanted but I suspect that happens to a lot of artists! Looking back on your journey, what is some nugget of advice that your would give artist starting out today? I would advise to go with your gut at all times, it’s usually correct. You can go after your dreams but be realistic and be prepared to fail, learn from it and change direction if necessary. I wanted to be a fashion designer from a young age, I did that and was successful but then wanted to move on and try other things. I now have new dreams but I’m aware that anything can happen along the way to alter them. It sounds a stereotype but you never know what is around the corner so be prepared for anything. I will always keep trying new things, there is absolutely nothing wrong with being a polymath. Even if I use that word generously I love the concept behind it, being knowledgeable about many subject areas. Tell us about your project 100 days? What was it like for you to sign onto an on going project? Would you do it again? I coincidentally came across the 100 days project on instagram one day after I’d had an operation, it was the perfect opportunity for art related recuperation. I decided to spend up to 1 hour a day, stitching squares of 100 stitches. I could keep sane by creating a mini artwork each day without having to come up with fully fledged works. ​The work that came out of it is one of my most successful pieces and one that people always want to buy. It has too much emotional value to let go however and would also have a potentially high price tag given that it took 100 hours to make! I think I would sign up to a similar project again, the discipline is very good and can take you in directions you wouldn’t initially consider. I do ballet regularly and I’ve recently started taking quite difficult exams. As a fully grown adult I never thought I would want to take an exam again but it’s amazing how much you improve under pressure. I think these type of art projects can have similar results. I’d love to do a fine art MA and I may get round to it when life and time allows. 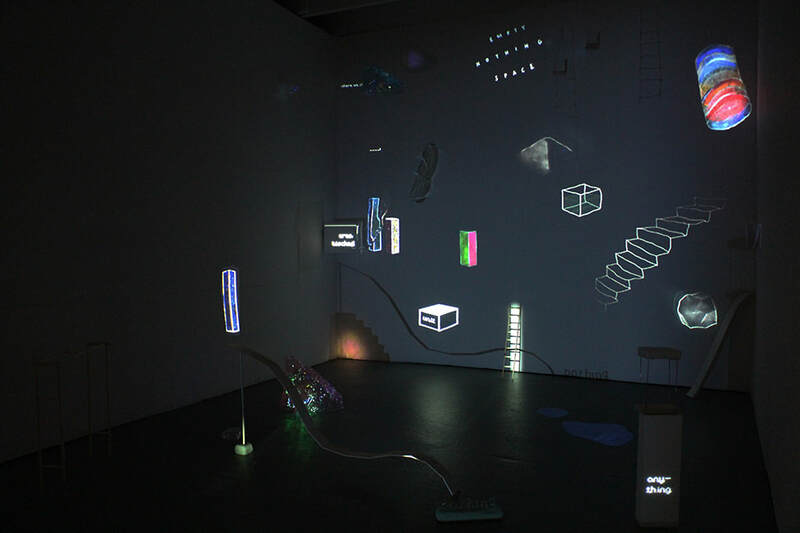 With the pixel connection I was recently part of an exhibition called 64 Bits, the art of the lost web at London’s Olympic Park. 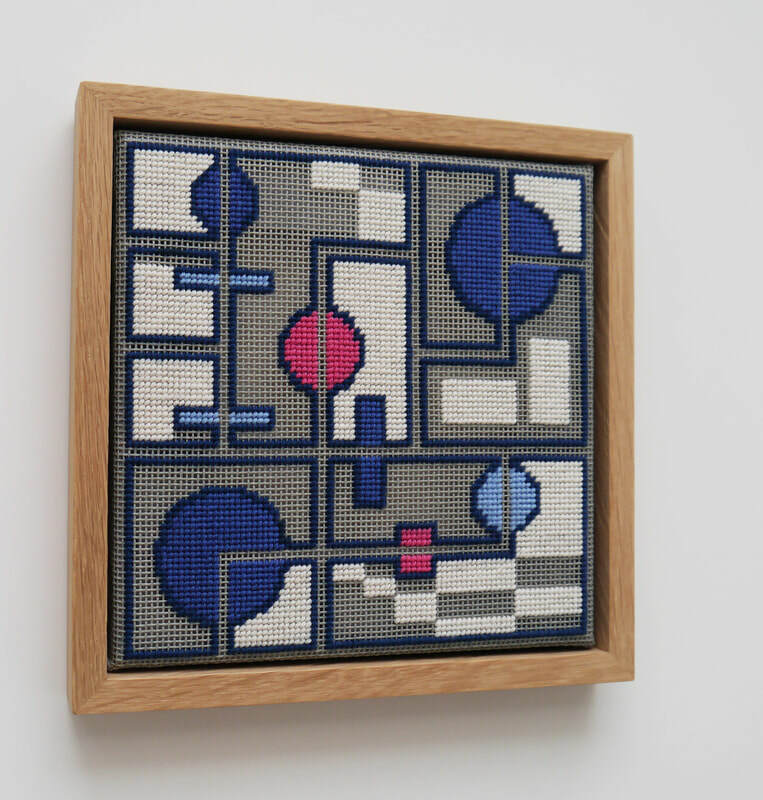 I also have work in a exhibition coming up that is in support of a book written by Mr XStitch (aka Jamie Chalmers) who is a great supporter of contemporary stitch related artwork. I’m also creating a piece for the cover of a magazine.